Cabico, the North American maker of high-end custom cabinetry and one of Open Door's valued partners, introduces Velvet, the incredibly smooth topcoat finish that raises the bar for elegance and durability. Inspired by cutting-edge finishing trends in Europe, Velvet is an acrylic urethane system that capitalizes on the latest advances in finishing technology to deliver truly remarkable results. Cabico customers are accustomed to the very best, and Velvet won’t disappoint. This ultra-matte, ultra-stain-resistant finish offers a silky-smooth touch. And unlike conventional topcoats, which tend to yellow with the passage of time, Velvet’s acrylic-based formula retains its water-white clarity to let the natural beauty of the materials shine through. Cabinets will keep looking their best for years to come. It’s no wonder that smooth-touch finishes have taken Europe by storm. Now, Cabico is proud to bring this European-inspired aesthetic to North America. Of course, there’s more to a topcoat than look and feel. In the world of fine cabinet making, the topcoat isn’t just the final step in the finishing process, it also fills a number of other vital roles. An effective topcoat seals in the primary finish, acts as a barrier against water, spills, and other contaminants, and enhances the durability of the finish to protect fine cabinetry against wear and tear. Velvet performs all of these functions with brio. It’s formulated with a higher-than-usual percentage of solids for enhanced strength and durability, providing long-lasting protection for your valuable investment. Velvet is also designed to stay flexible. Unlike most conventional conversion varnishes, it won’t turn brittle with the passage of time. And since it’s a urethane product, it’s stable and won’t shrink. As a company committed to environmental sustainability, Cabico prides itself on using eco-friendly materials and processes to keep your indoor environment safe and healthy. Those same environmental standards apply to the finishes Cabico uses on all its products, Velvet included. This HAP-compliant finish meets or exceeds all industry standards for hazardous air pollutants. Cabico’s Velvet finish is available on all Cabico paints and paint/glaze combinations. It is also offered on all Cabico natural-finish wood species, as well as on selected stain and stain/glaze finishes. 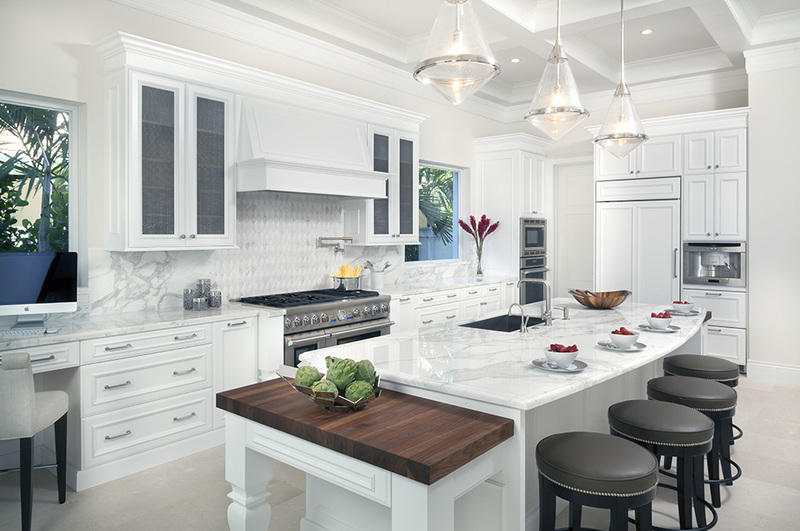 Doylestown, PA-based Open Door Building Solutions offers stock to fully-custom cabinetry for all residential & commercial uses from these top industry manufacturers: Cabico’s Elmwood, Unique & Essence Cabinetry; Echelon & Fabuwood Cabinetry; Canyon Creek & Haas cabinets. We also feature Trex Outdoor Kitchens & NatureKast Weatherproof Cabinetry; Grothouse wood countertops; the Galley Workstation; plus an array of cabinetry accessories, decorative hardware & organization products from Hafele. Our award-winning personalized service means that our commitment to your satisfaction is among the highest in our industry. Call 267-228-5494 or e-mail us soon to discuss your project or make an appointment to visit our newly remodeled in-home showroom or check out the new Velvet finish!